Put paper maps on your compatible device with Custom Maps — a free and simple process that transforms paper and electronic maps into downloadable maps that you can transfer to your device. 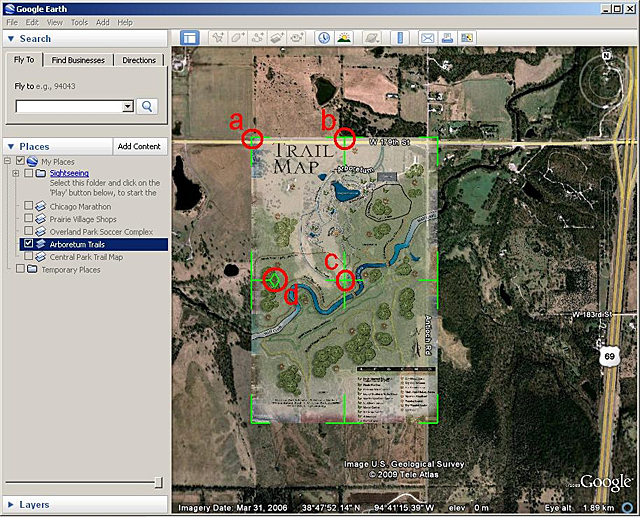 Custom Maps are created using our map-drawing technology to georeference map images. Custom Maps offer practicality and convenience in everyday situations. 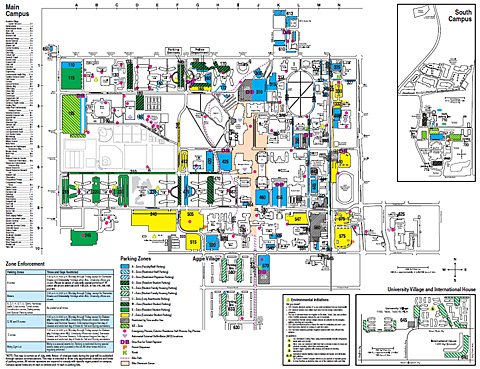 For college students: Download campus maps from university websites and transfer the custom map to your handheld device for easy navigating around campus. 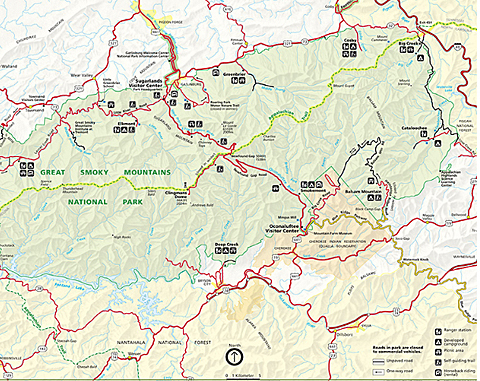 For hiking trips: Transfer a paper map of a nearby state park for added safety and security while on the trail. 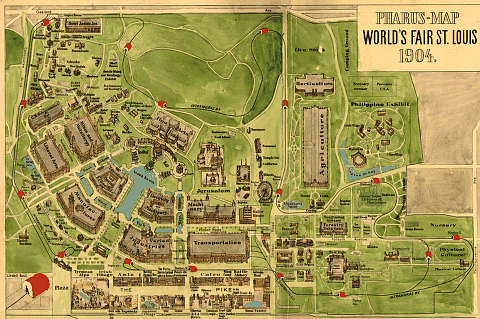 For fun and education: Download a map of an area as it once appeared, such as the St. Louis World's Fair map, to explore that area as it once was and compare it to how it appears today. Make sure your device is compatible. Your device needs to have the latest available software. Only create a custom map from a map that is in the public domain, that you hold the copyright in, or that you have permission to use from the copyright holder. Step 1: Save the map as a JPEG. 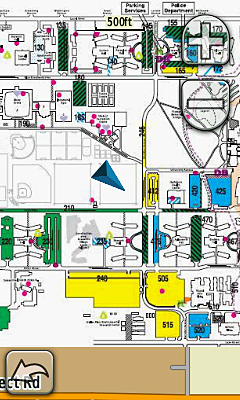 If your map is printed, scan the map at an appropriate resolution¹, and save the image as a JPEG. If your map is electronic, such as a PDF, it may require conversion using GIMP or another suitable program to save it as a JPEG. 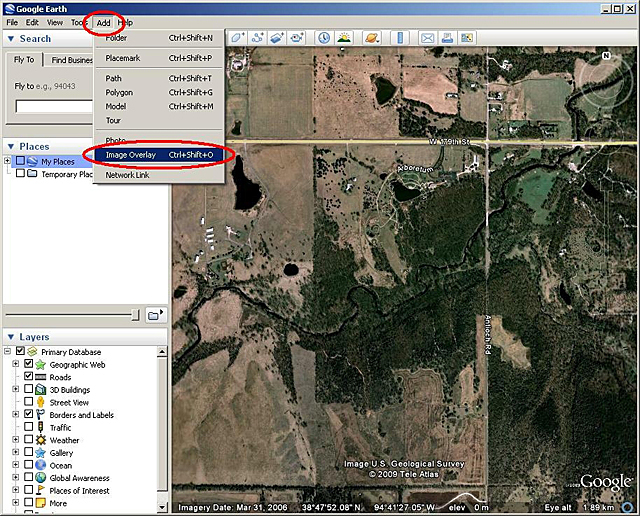 Using Google™ Earth, locate the approximate area² where your custom map is located. From the top toolbar, click Add > Image Overlay. Set the Link field to the path of the source JPEG to georeference. Use the Location tab to adjust the draw order, if necessary. 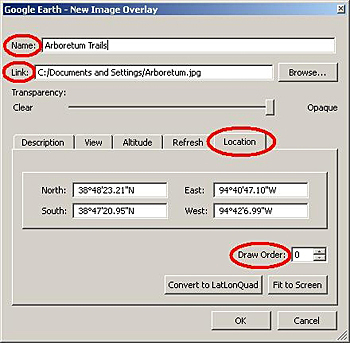 The draw order is used to determine the order in which maps appear (draw) on your device. For example, if the draw order for your custom map is set to 50 or higher, the custom map will draw on top of the Garmin map. Adjust (georeference) the JPEG so it matches the satellite imagery beneath the image overlay. Move the green marks to adjust the corners, edges, center or rotation of the JPEG. You may need to adjust the transparency of the JPEG so the satellite imagery can be seen beneath the JPEG. Use the Transparency bar near the top of window to adjust the transparency. Click OK to save your custom map. Connect your Garmin outdoor handheld device to your computer with a USB cable. 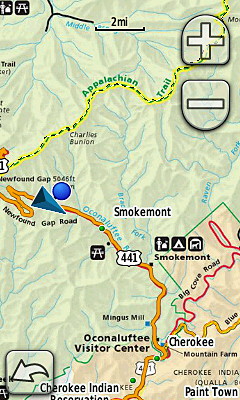 In Google Earth on the left side of the screen, right click on your custom map. Click Save Place As. 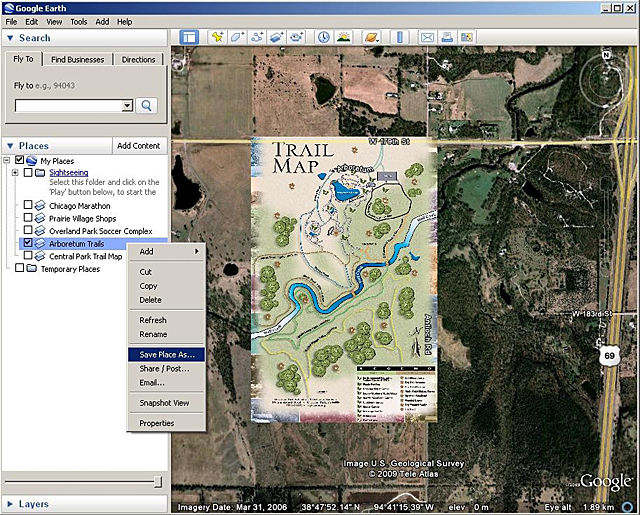 In the dialog box that appears, find the drive for your connected handheld device and save³ your custom map in the /Garmin/CustomMaps/ directory (you may need to create a new "CustomMaps" directory if this directory does not exist). Save the file in KMZ format. 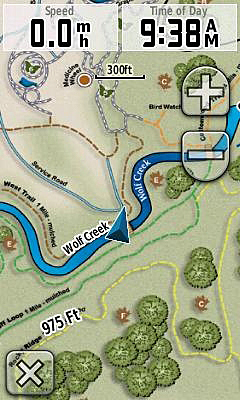 Your custom map will appear as part of the map on your device. By default, Custom Maps are enabled on your device. To disable your custom map on Dakota® or Oregon®, select Setup > Map > Map Information, then deselect the check box for your custom map. 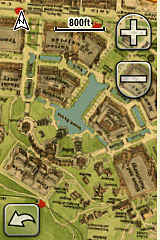 To disable your custom map on Colorado®, go to the Map page and select Options > Select Map, then scroll to your custom map and deselect the check box. ¹Oregon and Colorado have a native solution of 155 dpi, and Dakota has a resolution of 110 dpi. Use these resolutions as guidelines in determining your image size. ²The closer the viewing area is to the location and coverage of your JPEG, the easier it will be to georeference. ³The file can also be saved to a microSD™ card and installed in your outdoor handheld device.